Für heute Nachmittag hat SimBin ein umfangreiches Update angekündigt, dass zahlreiche Probleme im free-2-race Rennspiel RaceRoom Racing Experience beheben soll. Schon vorab wurde das vollständige Changelog veröffentlicht, welches ihr hier einsehen könnt. Vielleicht werden auch Bugs beseitigt, die euch direkt betreffen? Für den heutigen Nachmittag wurde von SimBin eine sogenannte Downtime, eine Phase in der die Server von RaceRoom Racing Experience nicht erreichbar sein werden, angekündigt. Diese wird dazu genutzt, ein neues Update für das kostenlose Rennspiel einzuspielen. 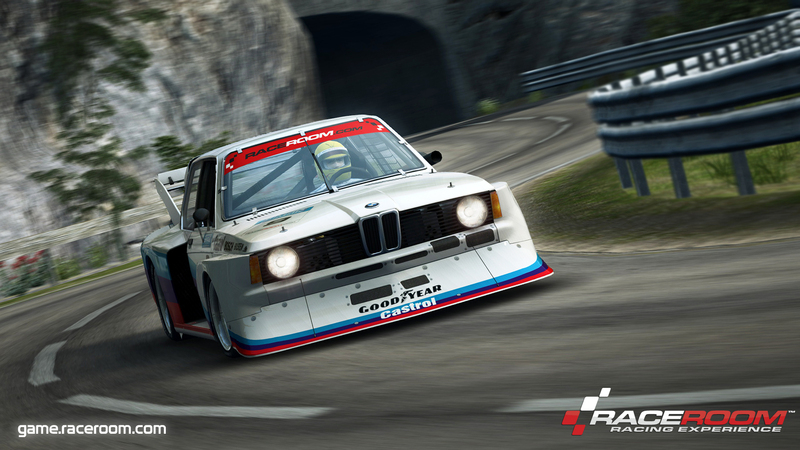 Bereits vor der Durchführung können sich die Spieler von RaceRoom Racing Experience mittels des veröffentlichten Changelogs darüber informieren, welche Probleme beseitigt und was sonst für Änderungen durchgeführt werden. Es werden nicht nur Bugs bereinigt sondern auch neue Funktionen hinzugefügt. Unter anderem wird R3E nach dem Update TrackIR unterstützen und neue Schwierigkeitsgrade für Einsteiger bieten. Nachfolgend findet ihr das bereits angesprochene Changelog. Während der Update-Phase könnt ihr RaceRoom Racing Experience nicht spielen. Die Downtime wird voraussichtlich einige Stunden betragen. Novice Mode. A new mode with numerous auto-assists for beginners. Fixed an issue where car image was overlapping the scrollbar in Apex Hunt info screens. Fixed an issue where the player Get Real car setup would not save in Zandvoort GP. Fixed option descriptions where they wouldn’t fit the given space. Fixed an issue where AI would take over if player paused during the initial run up of a Leaderboard Challenge session. Fixed some DirectX related leaks that could cause performance issues. Fixed an issue where the Game Settings pane was showing Amateur, despite selecting Get Real as difficulty. Fixed an issue where game would not start when challenging someone or launching an event via the website from an external browser. Fixed an issue where the player still could control camera and change TC in pause/garage menus in Hillclimb tracks. Fixed an issue where Launcher was running every time player started the game. Fixed a crash that could occur when changing video resolution. Pause menu now shows which track layout player is on, rather than just the track. Fixed an issue where free flight camera was not removing HUD elements. Fixed an issue where the game video settings would reset the refresh rate to 60hz, despite changing it to something higher and restarting to apply the change. Smoke/dust particles from a session now reset when restarting the race. Fixed an issue where the game would stop working when trying to share several screenshots at once. Added extra logging functionalities to help us investigate why some of our players are having communication issues with our server (error code 2). Updated Reflections on all cars. Tweaked and improved the shader/graphics on rims. Removed unused rendering functionality that was active when dynamic reflection is enabled. Fixed an issue where parts of the car weren’t rendering in chase cam view. Various art fixes in Lakeview Hillclimb both layouts. Various art fixes in RaceRoom Raceway. Fixed an issue where Portimao National was casting the wrong shadows. Fixed an issue with granstand shadow disappearing and reappearing depending on player car position. Fixed a collision issue in Zolder where car could clip through a crew member. Fixed a minor inconsistency on Zakspeed Capri’s hud shift indicator. Fixed minor flickering issues on Alpina B6 GT3 lights. Fixed minor flickering issues on Mistral 530 lights. Fixed a minor animation issue on driver in BMW M3 GT2. Fixed minor driver and interior issues in McLaren-Mercedes SLR 722 GT. Fixed & improved BMW Z4 audio. Fixed AI shaking the DMD P20 at leaderboard challenge starts. Tweaked cut track rules in Monza. Player can no longer use the dirt on exit of final chicane. Fixed issue where BMW 320 was hitting the rev limit for long periods in some tracks. Tweaked gear ratio for Canhard R52 and fixed issue where it was hitting the rev limit in some tracks. Improvements in the web backend for better performance. Fixed an issue where the first name of a player was appearing several times on some of the right column of Competition pages. Fixed an issue where Leaderboard global position was sometimes incorrect when applying certain filters. Player will be directed to the competition lederboard after exiting the competition. Added Autofiltering for when clicking leaderboards from in-game. Fixed an issue where double boxes would appear in Leaderboards, when selecting Driver drop down menu. Fixed and issue where friends could appear in pending and in friends lists at the same time. Fixed an issue where Leaderboard entries did not reflect the player’s current Profile setting. Fixed issues with leaderboard updater where changing your firstname and lastname wouldn’t affect leaderboards. Challenge participate buttons are now removed when a competition is over. Fixed missing information in the popup window player gets, when challenging a ghost of a car they do not own. Car/Class filter is now in alphabetical order. Implemented Class based competition support. Fixed issue with custom widget where after adding an URL, it would take user out of the portal. Fixed issue where in the in-game browser sometimes 2 tabs were showing as marked at the same time. Fixed challenge button in the leaderboard widgets. Added summary info in the competition sidebar.